Whiteheath has an inclusive admissions policy regarding all children and families. 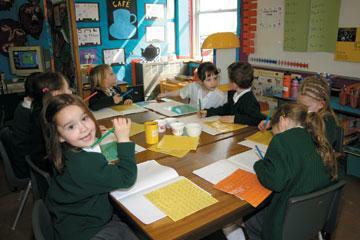 The school’s ethos and Equal Opportunities Policy is one of acceptance for everyone. There is an Inclusion Manager and support for children, whose need has been identified and discussed with parents/carers, is provided in the classroom and through specific interactive programmes. Appropriate staffing and funding arrangements are made for all children with Special Educational Needs. We try to ensure that everyone in our community can participate in all aspects of school life. Disabled children have the same rights as all others to enjoy every aspect of the school curriculum. Modifications have been made to some of the buildings to allow for wheelchair access and there is a toilet suitable for wheelchair users. Sometimes we need to call on others outside school to support your child, such as the School Nurse, the Speech Therapist, the School Psychological Service, and the Educational Welfare Officer. Should the need arise we will always discuss our concerns with you and seek your participation. Teachers’ planning ensures that high achieving children are challenged and extended. We also encourage children who show ability in other areas of the curriculum, for example, creativity, thinking skills, PE, etc.